Flower growers are producing new varieties in sync with the warm color trends expected to influence home interiors in the next decade. Look for more availability of flowers in yellows, oranges, rusty reds and warm browns to update and complement your home decor. 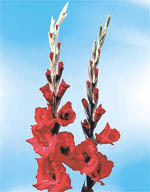 Deep red gladiolas follow the trend, but look also for a new orange-red gladiola called Floresent and bright Lemon Yellow. 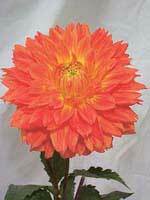 The spectrum of warm colors is especially evident in the dahlia family. Dahlia colors range from bright yellow and true red to coppery orange, intense purple and a deep, almost black, burgundy. 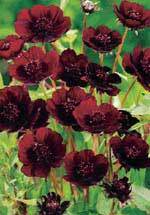 Chocolate cosmos is an especially popular flower for emphasizing home décors warm-color spectrum. With its striking, darkalmost blackvelvety flower, it offers a chocolate scent at room temperature.